The shot glass is a small glass designed to hold or measure spirits or liquor, which is either drunk straight from the glass ("a shot") or poured into a cocktail. 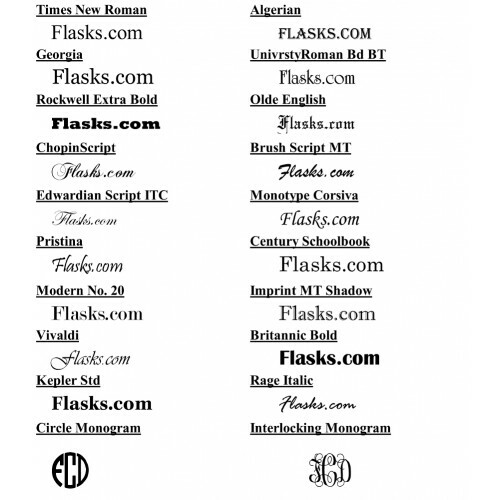 Many references from the 1800s describes a 1½ fl oz of whiskey or rum as a jigger and this is a 1 ½ oz glass. 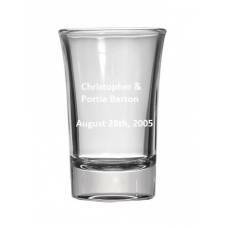 Perfect as a memento for guests of any special event or as barware. Shot glasses decorated with a wide variety of toasts, advertisements and humorous pictures are popular souvenirs and collectibles. By personalizing this item to your event further enhances the experience and enjoyment. Add a Name, Date, Title and/or a simple image when ordering and we will get your perfect gift done just right for you. 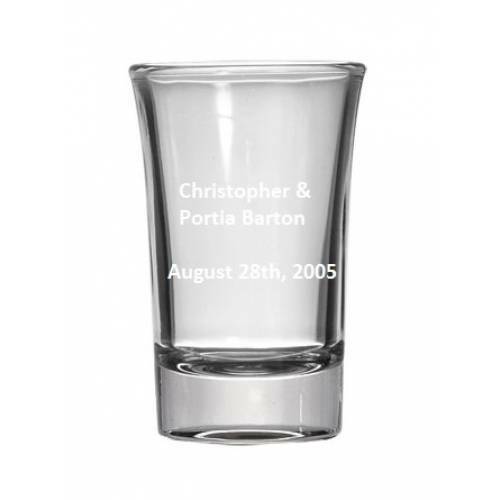 We can engrave on one area of the glass or on 2 areas, a front and back option.